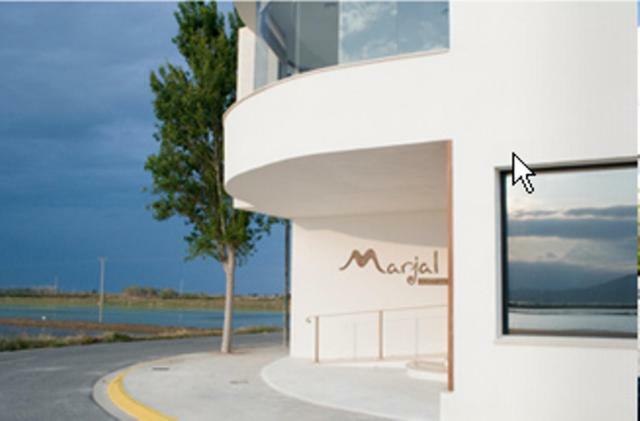 Lock in a great price for Allotjament Marjal - Adults Only – rated 9.3 by recent guests! Breakfast was superb, selection of local products, beautifully presented. Modern and at a very good location. Perfect to enjoy the area. Great hotel with very friendly and supportive staff. Exceptionally beautiful common areas. Lovely small hotel. 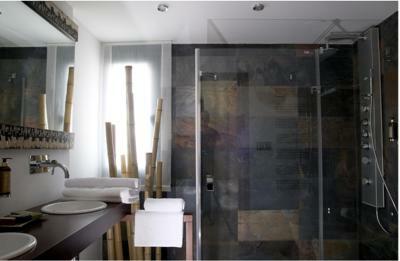 The 20sqm room was adequate in size. It had a huge bed and a wonderful bathroom with a fantastic walk in shower. The airconditioning was great and the decor of the room very nice. We had a lovely terrace outside our room. The continental breakfasts are the best that we have ever had anywhere. Parking is easy to find, although it is all in the road outside the hotel. 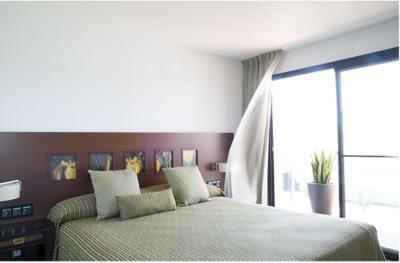 We really liked the hotel and if we are in Poblenou del Delta again we will stay here. Location, staff and breakfast were all outstanding. 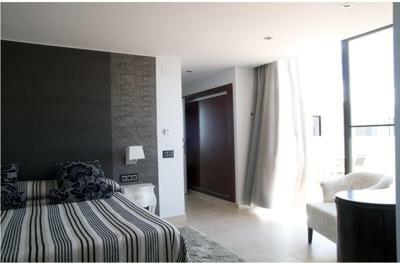 Rooms with a boutique feel and I felt very well looked after. As a birdwatcher, the telescope set up in the library upstairs was a terrific touch, with wonderful views of birds in the rice fields right from the window. Even saw flamingos flying by! Real efforts made to make my vegetarian breakfast top-notch. 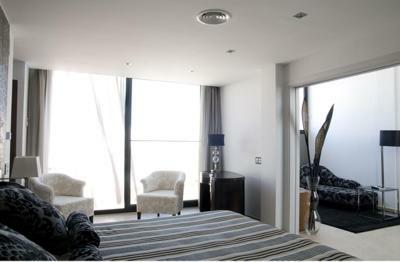 Stunning location, very luxurious room, brilliant food. The owner of this hotel is just charming, it really was a lovely stay and the hotel facilities and decor are perfect. Breakfast was superb, almost too much choice although my husband managed to eat his way through most of it! 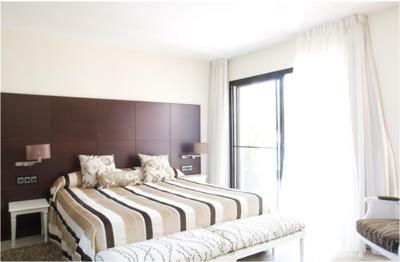 Allotjament Marjal - Adults Only This rating is a reflection of how the property compares to the industry standard when it comes to price, facilities and services available. It's based on a self-evaluation by the property. Use this rating to help choose your stay! 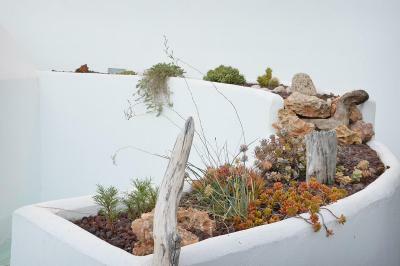 Located in the Delta del Ebro Nature Reserve, this modern guest house features a peaceful courtyard and an open-air hot tub. 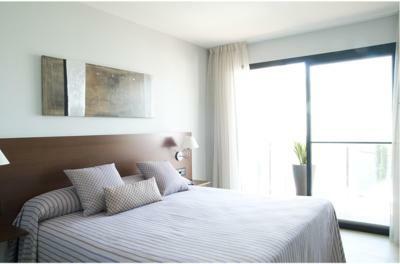 It offers stylish accommodations with free Wi-Fi in public areas and panoramic views. 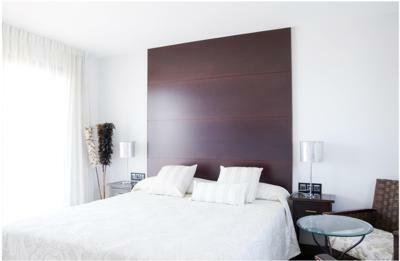 All rooms at Allotjament Marjal feature large floor-to-ceiling windows and a contemporary décor. 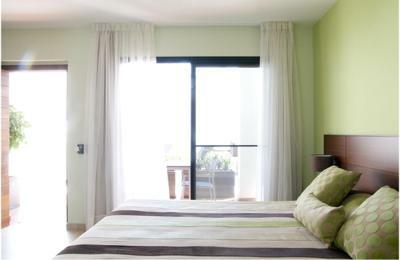 Each has a furnished terrace with views over the Delta del Ebro. 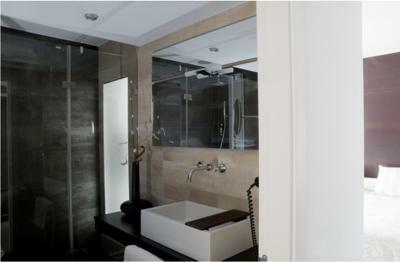 The spacious bathroom includes toiletries and a hairdryer. 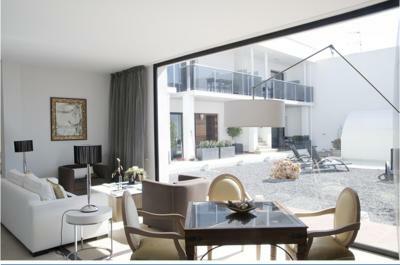 There is a bar at Marjal and guests can relax in one of the 2 communal lounges overlooking the tranquil interior patio. There are a few restaurants and shops in Poble Nou del Delta. Room service is available. 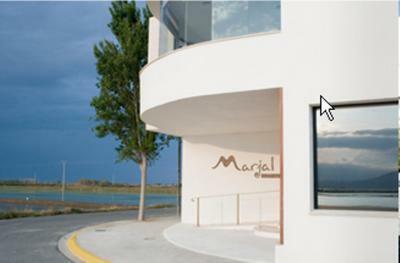 Marjal guest house rents bicycles and staff can provide more information about biking trails in the surrounding area. Reus Airport is just over 1 hours’ drive away. 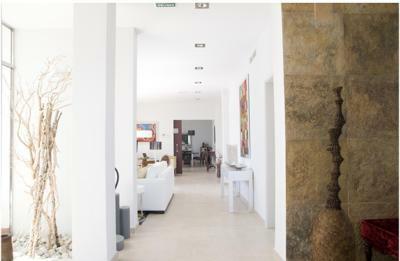 This property is also rated for the best value in Poblenou del Delta! Guests are getting more for their money when compared to other properties in this city. 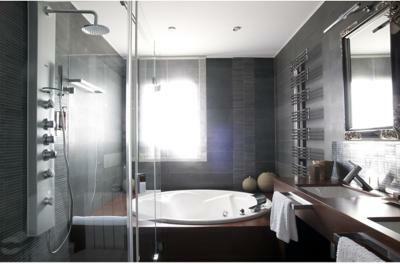 When would you like to stay at Allotjament Marjal - Adults Only? This stylish, air-conditioned room features a terrace. It includes a shower, toiletries and a hairdryer. 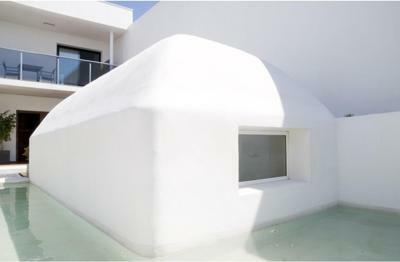 This stylish, air-conditioned room features a terrace. 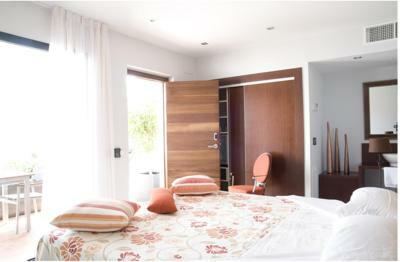 It features an extra large double bed, seating area and a spa bath. 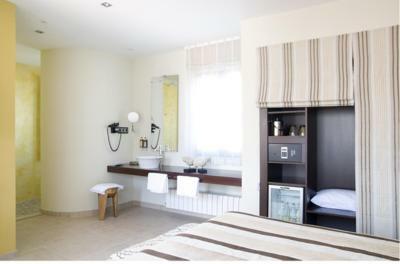 This deluxe room is located outside of the main property's building and comes with a seasonal outdoor hot tub, a hydro-massage bath, mini-bar service, fruits and snacks and a welcome gift, consisting on a bottle of cava or wine. 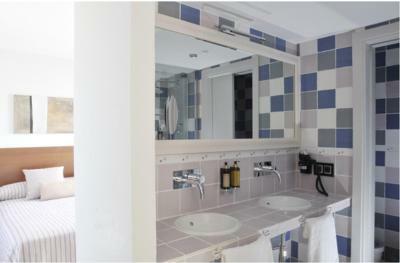 The deluxe suite also includes breakfast service in the room and private parking. 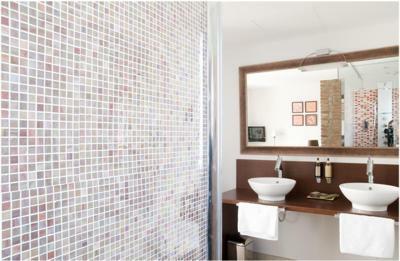 House Rules Allotjament Marjal - Adults Only takes special requests – add in the next step! Allotjament Marjal - Adults Only accepts these cards and reserves the right to temporarily hold an amount prior to arrival. Was winter so an extra blanket in the room would have been useful. Not so good soundproofing in rooms on the ground floor. The wifi was very unpredictable. There was no full length mirror in the room. I was perturbed by the amount of black hairs I found on the bedding, towels and in a sink. (this is why I only gave only good for the cleanliness, otherwise the hotel would have gained an excellent from me!!) There were 2 jacuzzis which were not really suitable for a summers day. I am amazed that they didn't have a small swimming pool as there was plenty of room to house one in the grounds. I'd imagined a pool in which you could swim from the description, but in reality all you could do would be to lie in the water, more like a shallow paddling pool. This was my only (slight) disappointment. All lovely. Parking outside hotel wasn't a problem end of June. This was such an amazing find and one of the nicest places I have ever stayed. The staff couldn't do enough for us and were so lovely. 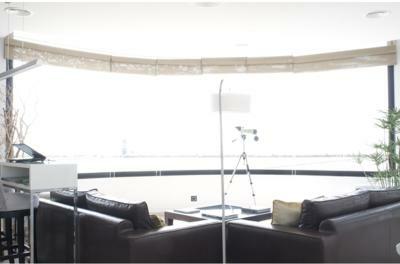 The lounge / observatory upstairs is incredible and view is beautiful. We loved staying here so much, we decided to go back for another night before flying home. 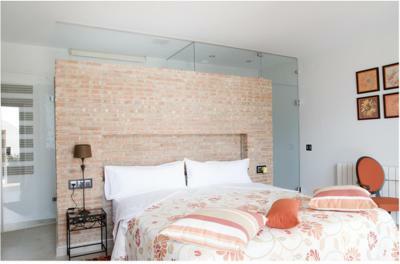 Both rooms we stayed in were stunning, very stylish and chic. 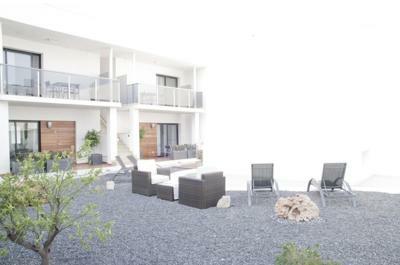 The garden / patio area was amazing and so peaceful and a real sun trap. The breakfasts were mind blowing. With such a variety of beautifully prepared food. We were given complimentary glasses of wine a chocolates. The beds were so comfortable. The whole place was so luxurious. I would definitely recommend this place and would love to stay again.